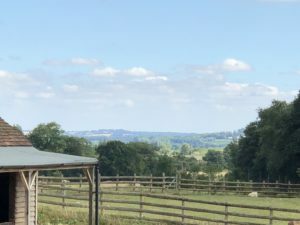 Mickleton Hills Farm is nestled in our beautiful English countryside near Chipping Camden in the Cotswolds. It is run by David and Sammy Gale. It is a lovely place to stay for a holiday, a break away or a place to organise your wedding and enjoy remembering for the rest of your life. In March 2018 we were delighted to be given the opportunity to make this wedding venue even more versatile, more exciting and to be giving their customers even more choice on how they want their perfect day. We came to meet with David and Sammy Gale as we were recommended by an existing customer and also recommended by Yamaha Commercial Audio as they know us as experienced and successful accredited commercial audio installers. We had a lovely experience working with David and Sammy and even stayed in one of the holiday cottages while working over few days – we would thoroughly recommend it! To design, supply and install a bespoke sound system, that they could use for multiple functions including background music, speeches, DJ’s and bands. 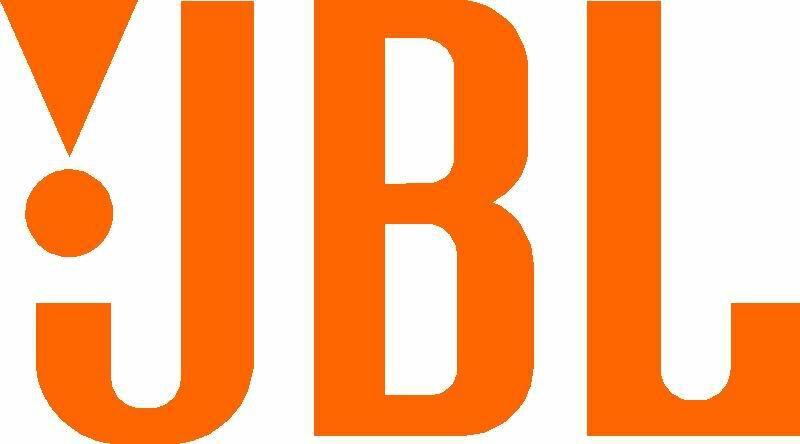 A system that could be limited to meet the sound limiting guidelines dictated by the licensing authorities. They needed several inputs, 2 radio mics band/DJ input and several other inputs for background music. 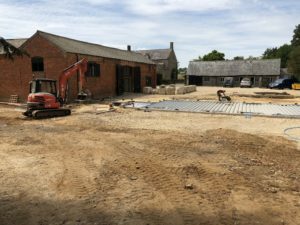 The system needed to be split into 3 zones, these being the main band DJ area/dance floor and the bar area in the first barn, and the new oak framed wedding barn that is being built this year. The speakers had to be both good enough for all of the needed functions including bands, and still blend in with the oak beamed 100 year old barn. They did not want to see any cabling so as not to ruin the beauty of the building or ruin the magic of an event. They wanted very simple control of entire system and be able to switch from whichever option they need, with ease, whether that was party mode, or background music or speeches etc. 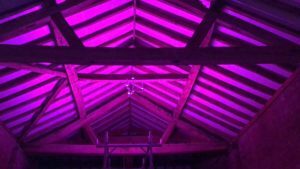 While working with David & Sammy we offered another fantastic option to add colour washing to the barn and LED festoon lighting in ‘The Pole Barn’, their outdoor lounge area, so they could offer even more choices to their customers and create more revenue for their business. We are currently in the process of installing this option. Routing the cable set a particular challenge as the barn venue could not be damaged or marked because of speakers or cabling. 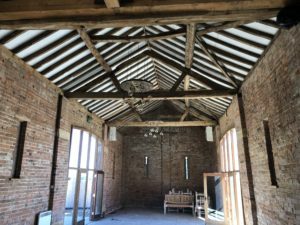 However, Chris and Richard’s specialist experience in historic and listed buildings meant it was easily managed with no impact to the beautiful building. Choosing the right speakers was another challenge as they had to cover a wide range of uses and deliver on all levels. Through good communication and rapport, we involved the client in the design to make sure everyone was happy and we were delivering exactly what was needed. We researched the correct speakers for the multiple tasks, and to make sure they looked right in the venue. We used Chris and Richard’s vast knowledge and extensive experience to design a bespoke system to suit the venue, meet the requirements of the job and match the financial requirements of the client. It is with excitement that we installed the correct solution, which was, conclusively, superb. Copyright 2019. Sound Advice AV Installations Ltd. All Rights Reserved.